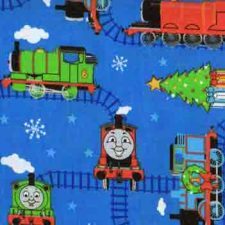 Childrens favourate train engine Thomas the Tank Engine now in fabric brought by Cranston Yillage.com., embarrassingly an USA company! Still it just shows that Thomas the Tank Engine travels long distances! !